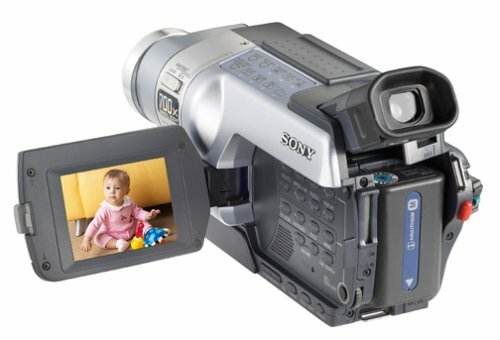 Released in 2003, the Sony DCR-TRV350 was a bridge between the analog technology of the past and the digital video future. 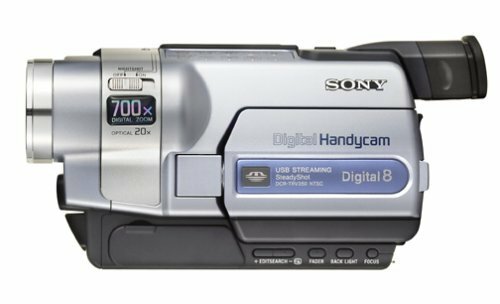 While technology was not "quite there" for the fully digital camcorders we currently enjoy, the Sony DCR-TRV350 gave a good glimpse at what was to come. 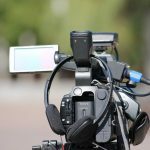 For years, the Hi8 analog video format reigned as the supreme video recording format for camcorders with the Digital8 format helping to bridge the gap between the fully analog and fully digital. The Sony DCR-TRV350 was one of the camcorders that helped usher in a new age of camcorder technology. The Sony DCR-TRV350 was a hybrid analog-digital camcorder, produced by Sony in 2003. It recorded in Digital8 format. This format encoded video digitally using the industry standard DV codec. Unlike current camcorders that record purely in a digital format on memory cards, the Sony DCR-TRV350 could record to either a Digital8 analog tape or a Memory Stick Pro memory card. This camera included a variety of features, including a three-watt halogen spotlight for illumination as well as the ability to record in darkness. 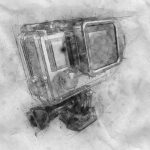 It included both a through the lens viewfinder as well as a pull-out LCD screen that allowed you to monitor your footage as you took it. The Sony DCR-TRV350 captured video via a 4-millimeter CCD image sensor in Digital8 format, writeable to either Digital8 analog media or Memory Stick Pro. It featured a black and white viewfinder as well as a 2.5-inch color LCD screen. It included electronic image stabilization and a variety of exposure presets. This camera included FireWire, S-video, and composite inputs and outputs. It was 3 and 3/4 inches wide, 4 inches high, and 7 7/8 inches deep, weighing approximately 1 pound and 13 ounces. In 2003, Chieh Cheng authored a review for the Sony DCR0TRV350 on the Camera Hacker website. Cheng was most impressed by Sony DCR-TRV350’s ability to shoot in total darkness. Chieh Cheng was able to capture their hamster in complete darkness using the NightShot Light. 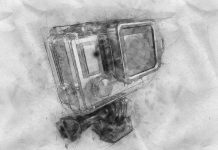 This feature allows the videographer to capture footage in total darkness using infrared. YouTube reviewer VWestlife noted that though you could record purely to the memory card, quality was better if you recorded to tape. The Sony DCR-TRV350 can be challenging to find online. When you can find it, it is often in used or refurbished condition on an auction website or a third-party seller on a larger platform. Since the Digital8 technology behind the Sony DCR-TRV350 is obsolete, we looked at the Sony Handycam line as a way to compare current model cameras. We first selected the Sony CX405 Handycam as the current camera that would be closest to the Sony DCR-TRV350’s target market. 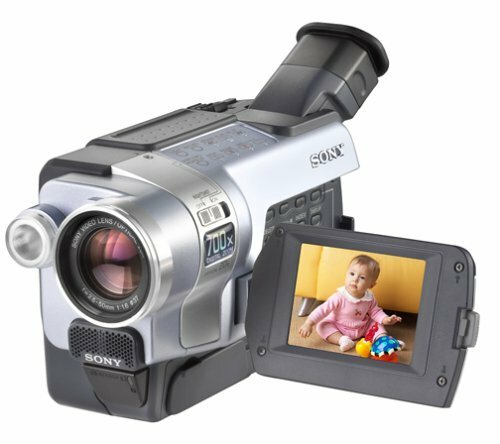 In addition to the Sony CX405, we then chose other camcorders that are similar in function and form factor. 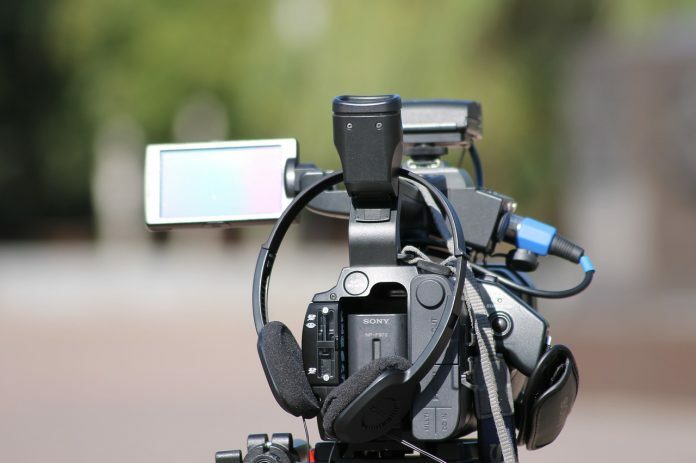 Finally, we took a look at what professionals and customers had to say about each camcorder. Review website Top Ten Reviews gave the camera a so-so 4.45 out of 5-star rating. Top Ten Reviews found that the camera was basic and gave it a D+ in overall video quality in different settings. However, they did note that the color balance was great and found it true to life. The Sony website has 121 reviews aggregated, giving it a rating of 4.3 out of 5-stars. Amazon gives it 3.9 out of 5-stars with 400 reviews. Users on Amazon noted how small and lightweight the camera is. As Han Pycroft pointed out how light it is, and noted that it weighed less than their television remote. While many praised the lightness of the camera, some critical reviews disliked the plastic construction, calling it “cheap.” Other reviews were critical of the Sony CX-405’s low light videos, saying that these shots came out grainy. 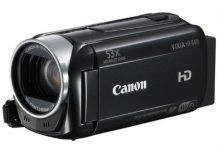 The Canon VIXIA HF R800 is an HD camcorder from Canon, aimed at the consumer market. It features a 57x Advanced Zoom and 5-axis SuperRange Optical Stabilization. It has a three-inch, touch panel LCD screen as well as a variety of video modes. Unlike other Canon VIXIA cameras, the Canon VIXIA R800 does not have any onboard memory. It instead relies on an external SD slot. The Canon Vixia HF R800 enjoys positive reviews on Amazon where it earns a 4.1 out of 5 stars with 238 reviews. It is also an “Amazon’s Choice” product. Many reviews say that the camera is easy to use and has good battery life. The Panasonic HC-V180K is a compact camcorder from Panasonic, capable of shooting in full HD 1080p resolution. It features a 28-millimeter wide-angle lens with a 90x Intelligent Zoom and 50x optical zoom. This camera has a five-axis image stabilizer and a Level Shot function that helps you capture steady footage. It also features a variety of Creative Controls with various film modes like Silent Movie and Time Lapse to help you create just the right mood with your videos. You can watch what you are shooting and control the camera on a 2.7-inch wide touch-screen. The Panasonic HC-V180K gets good professional and customer reviews. 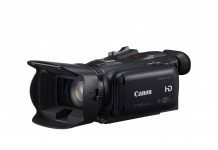 Reviews website Future Horizons named the camcorder its third top pick for camcorders in 2017. The website called this a “well-rounded camera” for having great features at a low price-point. By all accounts, the Sony DCR-TRV350 was a quality, all-around camera. Aside from the apparent con of its obsolescence by today’s standards, the Sony DCR-TRV350 did suffer from audio issues. Also, some felt the microphone was of low quality. Digital was well on its way to overtaking analog formats by the time this camera was released. The Sony DCR-TRV350 was not the very last of its kind. But the technology that defined it was undoubtedly on its way out. The Sony DCR-TRV350 helped to bridge the gap of video’s past to video’s future. In the end, it was a solid performing camera and well worth the price, then and now. The Sony dcr-trv350 could record to either a Digital8 analog tape or a Memory Stick Pro memory card, However the technology that defined it was undoubtedly on its way out.